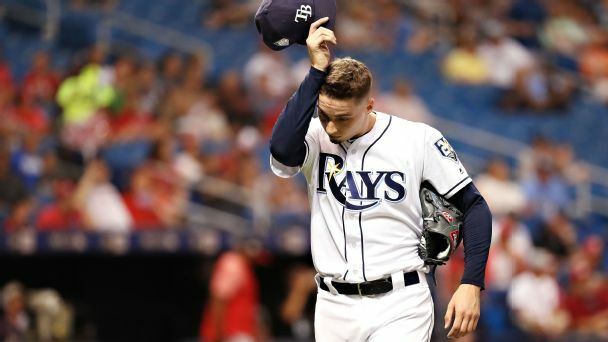 Caution: Falling MLB records ahead? 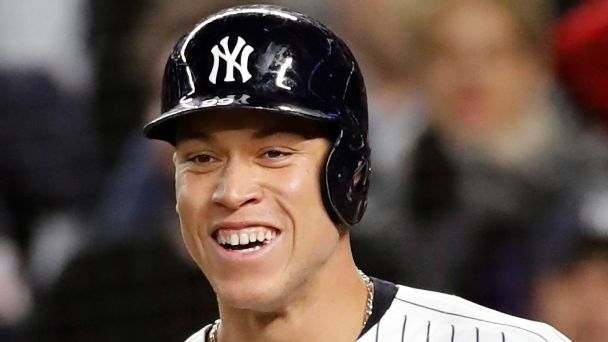 Here's who might match -- or surpass -- the MLB single-season marks for homers, saves and strikeouts in a single game. 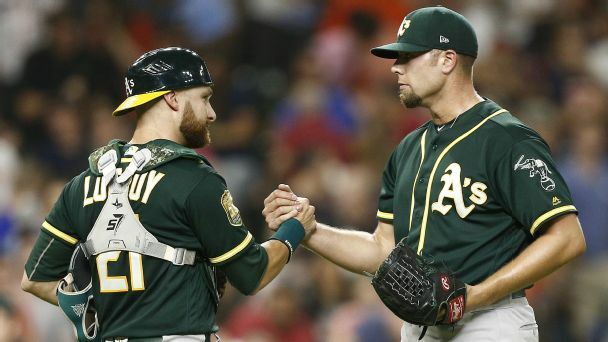 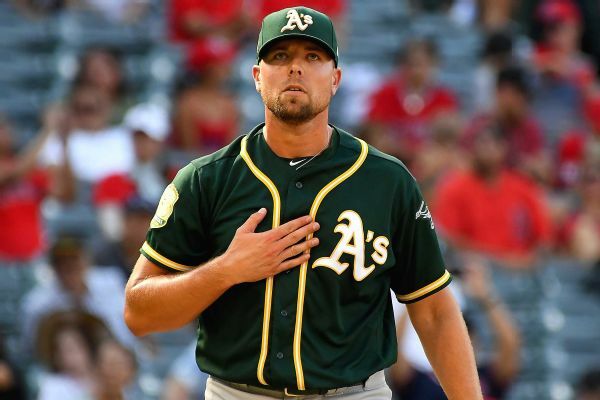 A's closer Blake Treinen, who went 9-2 with 38 saves and a 0.78 ERA last season while making his first All-Star Game, won his arbitration case and will make $6.4 million in 2019. 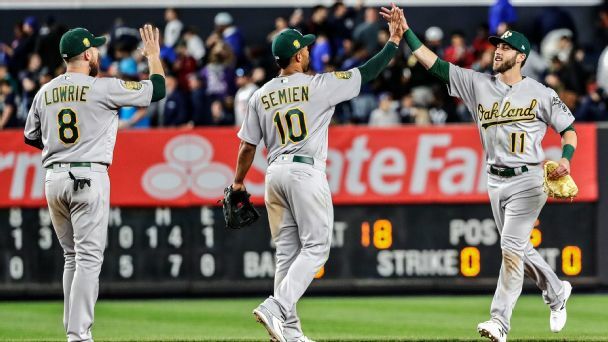 Oakland, which meets the Yankees in Wednesday's AL wild-card game, doesn't have any household names -- at least not yet. 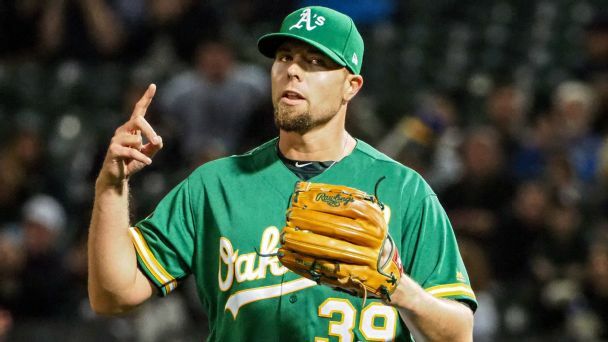 Since departing D.C. and heading west, the righty has turned his career around -- and helped Oakland become baseball's biggest surprise. 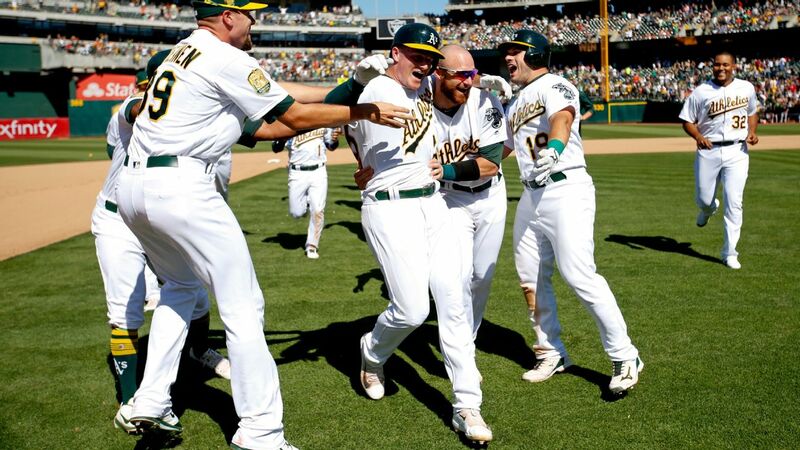 We spent two weeks with Oakland's latest band of fun-loving misfits to discover how the A's are once again defying the odds and streaking toward October. 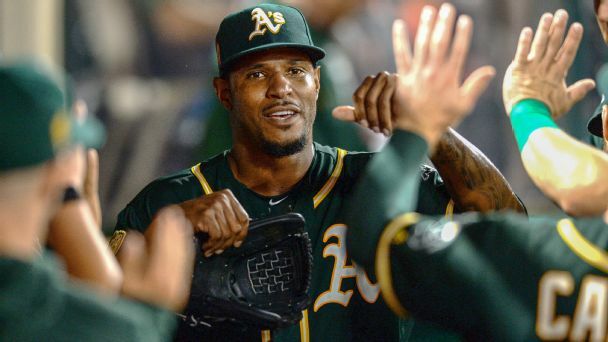 How is Oakland winning with Edwin Jackson, Brett Anderson and any one of a dozen other pitchers on its starting staff? 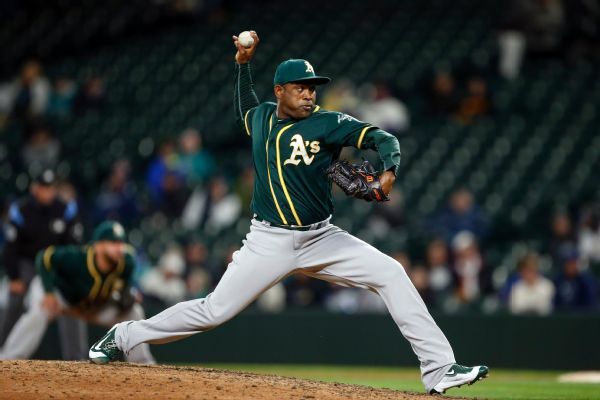 The Oakland Athletics have released veteran reliever Santiago Casilla, five days after he was designated for assignment. 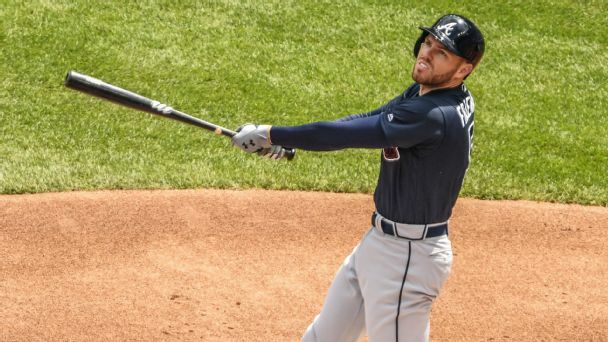 Freddie Freeman hasn't homered in BP in three years, but like all eight hitters competing on Monday, he's going in with a plan to adjust and win.